Every child has the right to live free from physical and psychological violence. Violence in schools is one of the most visible forms of violence against children. Violence in schools can take many forms, ranging from physical violence to psychological violence. It is often expressed through acts of bullying, intimidation and repression. Violence in schools creates insecurity and fear which harm the general school climate and infringe pupils’ right to learn in a safe, unthreatening environment. Schools cannot fulfil their role as places of learning and socialisation if children are not in an environment free of violence. 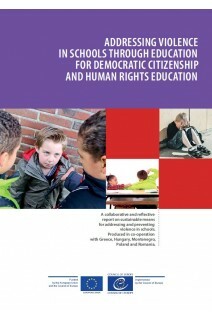 A collaborative and reflective report on sustainable means for addressing and preventing violence in schools. Produced in co-operation with Greece, Hungary, Montenegro, Poland and Romania.